President Viktor Yanukovych has offered the position of Ukraine’s prime minister to one of the opposition leaders, Arseniy Yatsenyuk. The offer came after talks on Saturday with opposition leaders in a new effort to end the worsening unrest that has spread across Ukraine. Earlier, protesters in Kiev tried to occupy the energy ministry. The protests began in November after Ukraine decided not to sign an accord on more co-operation with the EU. Instead, the government opted to deepen ties with neighboring Russia. The crisis escalated this week when two activists were killed, and another was found dead with torture marks in a forest near the capital. A fourth, 45-year-old protester is said to have died in a Kiev hospital on Saturday, after sustaining injuries in earlier violence. Arseniy Yatsenyuk, parliamentary leader of the country’s second biggest party, Fatherland, has not commented on the president’s offer. 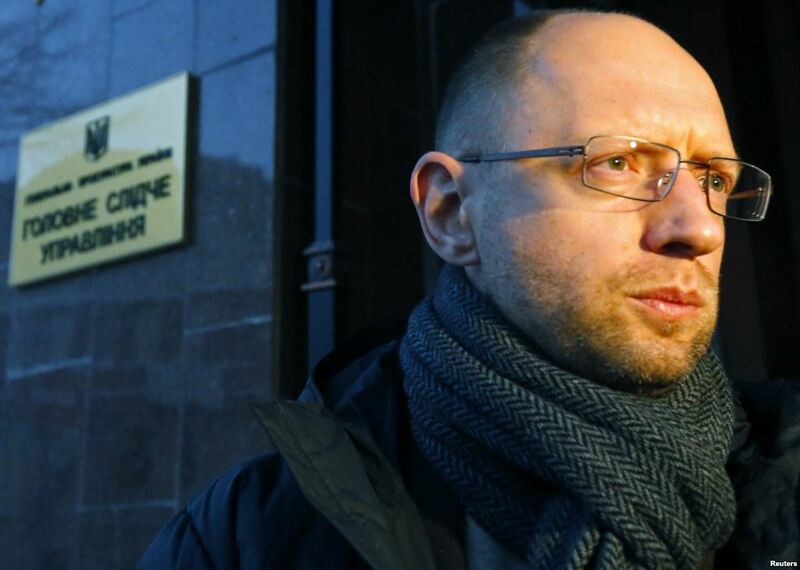 He is an ally of the jailed ex-PM Yulia Tymoshenko. Viktor Yanukovych has also offered the post of deputy prime minister for humanitarian issues to the former boxer, Vitali Klitschko, who is leader of the Udar (Punch) movement. In addition, Ukrainian media report that Viktor Yanukovych has said he is ready to amend the constitution to reduce the president’s powers. The opposition has previously demanded that Viktor Yanukovych step down.